In a large bowl gently mix fruit with white sugar. In a separate large bowl, combine flour, oats, brown sugar, spice. Press half of the mixture in a 9X13 baking pan. Cover with mixed fruit. 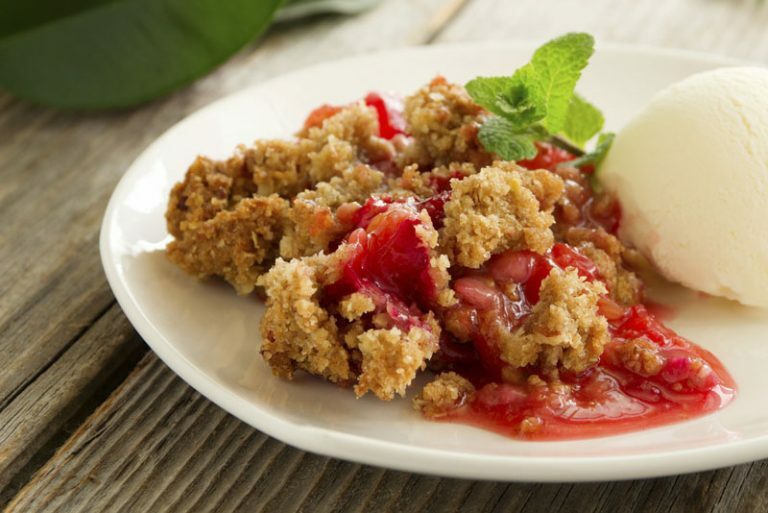 Sprinkle remaining crumble topping over fruit. Bake 30-40 min. until fruit bubbles and topping is golden brown. Let it set up before serving. Enjoy! !